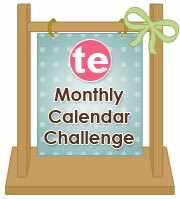 Welcome to the October edition of the Taylored Expressions Monthly Calendar Challenge! You are all invited to play along - all you need to do is use any calendar product from the TE store and link your project to the Inlinkz button on Taylor's blog. If you play along in 10 or more of the monthly challenges, you will be entered in a drawing to win a TE prize pack valued at over $150!! Please use the keyword TECALCHAL when entering your project to online galleries. 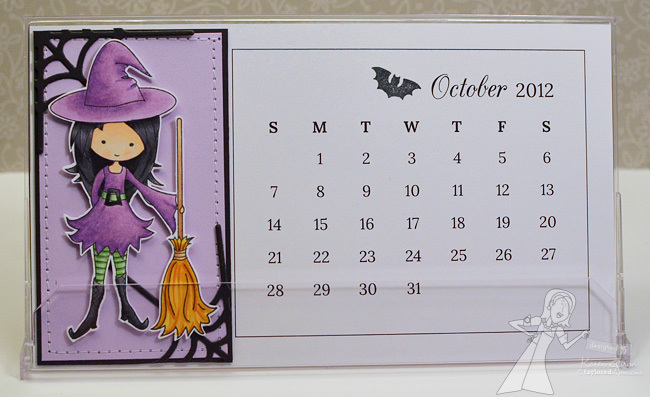 I just can't pass up an opportunity to use this cute Moka Tabitha and Halloween is front and center in October. 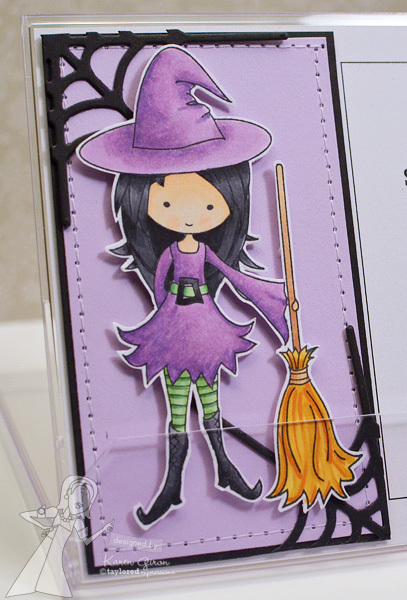 I started by stamping her in Memento Tuxedo Black Ink on Choice Snow White Card Stock and then fussy cut her so I could pop her up over the Spiders & Spiderweb Die. Beautious Karen! Perfect for my desk! Holy AMAZING coloring girlie! LOVE the spiderwebs in the corners too!! !